Due to their position fully underground, certain of Remy cellars are the true favourites of their Cellar Masters. It is here that they have always placed their nest eaux-de-vie, those with the greatest ageing potential, that are able to benefit from the almost constant humidity and temperature. 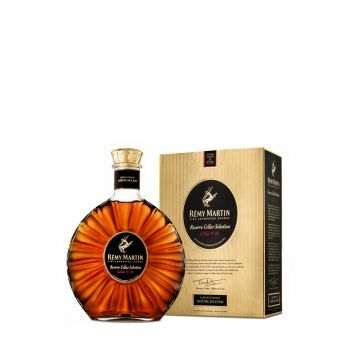 Using mostly old casks is essential to impart to the eaux-de-vie silky notes of candied fruit. Through a rigorous search in the Remy cellars for similar eaux-de-vie, they set out to celebrate the unique aromatic style of Cellar N°28, and in doing so, crafted a truly exceptional cognac.